Over the last number of years, the battery energy storage market has matured. Nilar has observed a decisive change in interest from low-voltage (below 60 Volt) to high-voltage (60 - 600 Volt) solutions in a variety of applications, a change that lends to Nilar's strengths. To meet this change in market direction, Nilar has decided to increase its focus on high-voltage and to discontinue its current line of low-voltage solutions. "Over 10 years ago Nilar realized that low voltage solutions would eventually evolve into high voltage products. Judging by the interest we have seen this year; the market is finally ready. Today, we are positioned better than ever before to embrace this market. Our bi-polar technology is ideally suited for high voltage applications and we have continuously invested in that future. These investments gave Nilar products that are broad reaching, efficient, and safe. 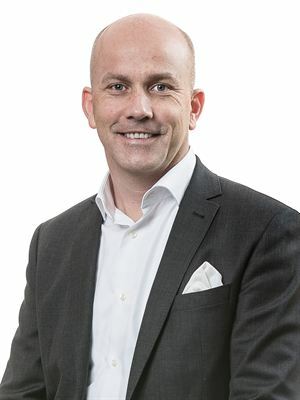 Nilar will therefore focus on three high-voltage segments going forward; EV-charge support, home/business storage and grid support", says Marcus Wigren, CEO at Nilar. The emergence of Nilar’s high-voltage batteries has created new energy storage opportunities for various technologies and applications. Due to a unique combination of bi-polar design and Nickel Metal Hydride (NiMH) chemistry, Nilar can offer a high performing storage solution packaged in a safe and environmentally friendly battery. Nilar brings you the next generation in modular power technology with the bi-polar NiMH energy storage. The unique construction of the battery delivers incredible power and reliability from a lighter, smaller and greener unit. Furthermore, the modular design allows batteries to be coupled in parallel and series to deliver the power and capacity required to meet virtually any need. Put simply, Nilar batteries deliver more from less. Since it was founded in 2000 by two of the leading experts from the battery branch, Nilar has always sought to challenge the norms of the battery industry. From its two R&D departments in the USA and Sweden, the company has revolutionized the way industrial batteries are constructed – developing a unique energy storage system that can be easily scaled to fit different applications. Today, the batteries are produced at the company’s state-of-the-art factory in Sweden.